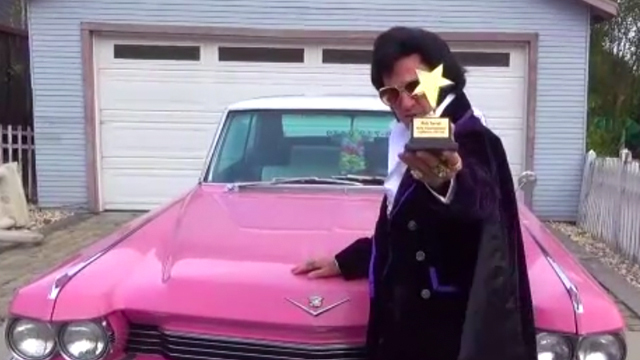 Elvis Impersonator Rick Torres Hits 700 Bookings! Breaking news: Elvis Impersonator Rick Torres has just reach a major milestone of earning 700 bookings through GigMasters. He's been a member since March of 2007, so that's an average of 87.5 gigs a year! That's a lot of impersonating. Hailing from Santa Clara, Torres is a hard working entertainer and is known by many as the "Bay Area's #1 Elvis Impersonator." For more info and to hire him for your next party, check out his profile page.